Though the Netherland’s EV sales are picking up, Fastned’s co- founder & CEO Michiel Langezaal does think they will reach the national goal of 200,000 electric cars on the road by 2020. According to Michiel this number includes not only fully electric cars, but also the Hybrids.There are still parts of the country that are beyond the reach of EVs with a 100 kilometers per charge range. Around 85% of the population do not have their own parking spaces. Yet Fastned’s co- founder & CEO Michiel Langezaal says the EV tipping point will arrive quickly. Batteries get better every year. They charge faster, hold more energy, last longer and are cheaper. Electric cars are “computers on wheels,” developed by software engineers. A gasoline car has one function, going forward. The apt comparison is an old dial phone to an iphone. The Dutch may not meet their target for 200,000 fully electric cars in 2020, but Langezaal expects the to surge past the goal of 1 million EVs and hybrids by 2025. 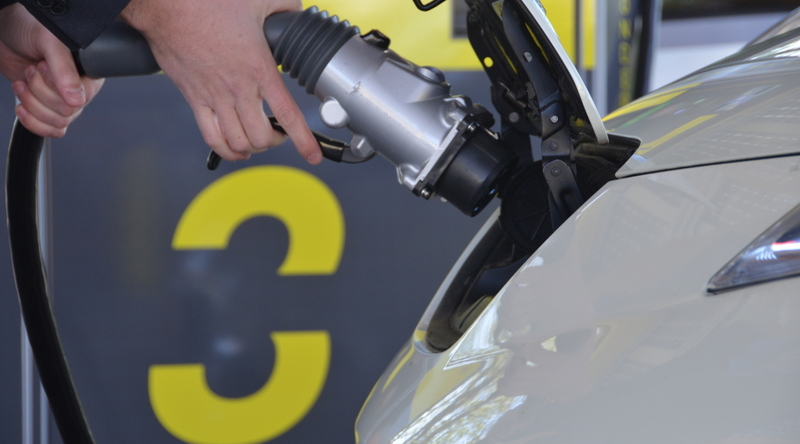 Fastned recently received €2 million from the EU to build 94 charging stations in Germany and the Netherlands. This part of a €4.2 million subsidy for a consortium of EV charging companies in from four nations. The other members are CLEVER A / S from Denmark, Öresundskraft AB from Sweden, VDE Prüf-und Zertifizierungsinstitut GmbH from Germany and the International ABB concern. They will build an electric corridor that encompasses 35 locations in Sweden, 23 in Denmark, 30 in the Netherlands and 67 in Germany. German automakers realize they need to build EVs if they want to survive, but they are still nervous. They are following behind Tesla and Nissan, who made that step three or four years ago. Last week the German car magazine Autobild published a story about the opposition to Tesla. “Changing a 100,000 people company to build electric cars is not easy,” conceded Langezaal. There is not much growth in the German market, but the Government has signed on to this deal. Langezal said that stamp of approval will be helpful when they start applying for permits. He also believes Germany will continue to lag behind Norway and the Netherlands for two or three years. 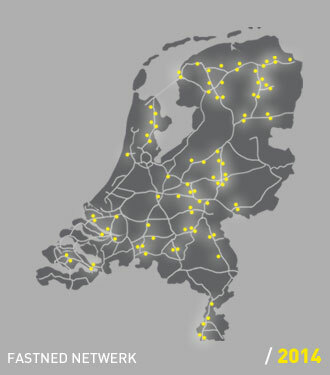 Fastned is a marked improvement over the slow charging network that Dutch municipalities like Amsterdam have invested in. People don’t want slow chargers anymore. Some have even asked dealerships to take vehicles back, after discovering they cannot be fast charged. Fastned is a Dutch start-up, founded in February 2012. One of the cornerstones of their success was acquiring 200 prime locations along the Dutch highways. 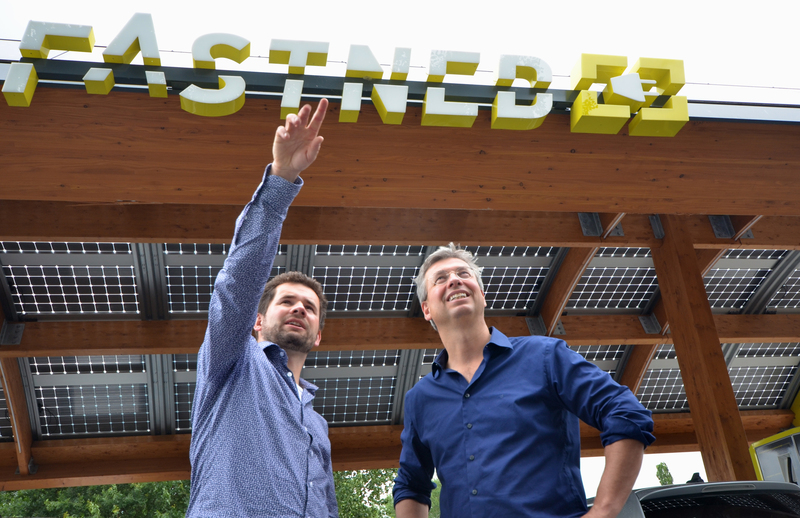 “In the last two years Fastned has looked like a real estate company: getting approval and permits; getting grid connections,” said Langezaal. 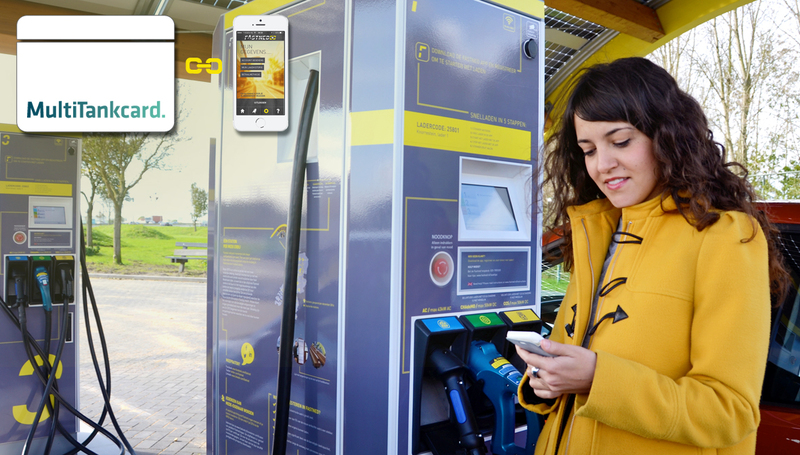 Fastned builds their charging stations in 2 to 2½ weeks (it takes 6 to 8 weeks for a gas station). They currently have 19 operational locations and another 10 in the planning stage. 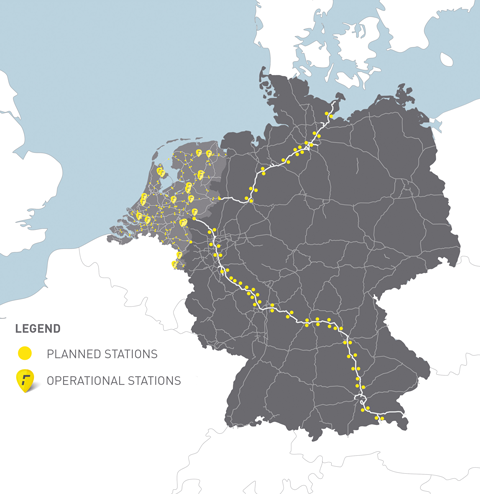 Fastned has been adding a new station every week since September. Langezaal says EV owners are phoning them every day. As there are only 4 superchargers in the Netherlands, evenTesla owners want to know if they can use Fastned stations. Pingback: electrive.com » Chris Urmson, Michiel Langezaal, Nitin Gadkari. Pingback: Will Seeo's 400 Wh/kg Battery Fulfil Expectations?